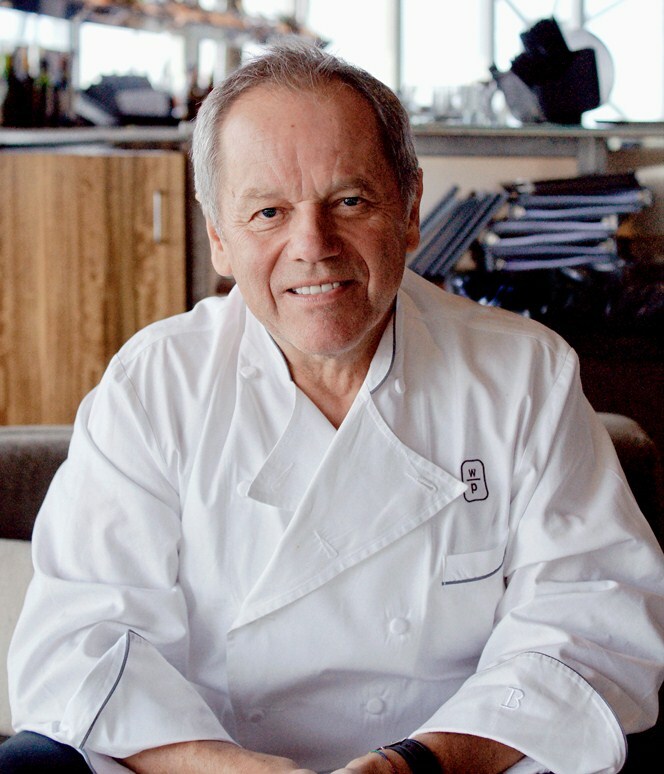 Last week we had the good fortune to meet up with chef Wolfgang Puck who locally owns Five Sixty, and the legendary Beverly Hills restaurant Spago. In all he is responsible for over 100 restaurants across the country and opening more very soon. 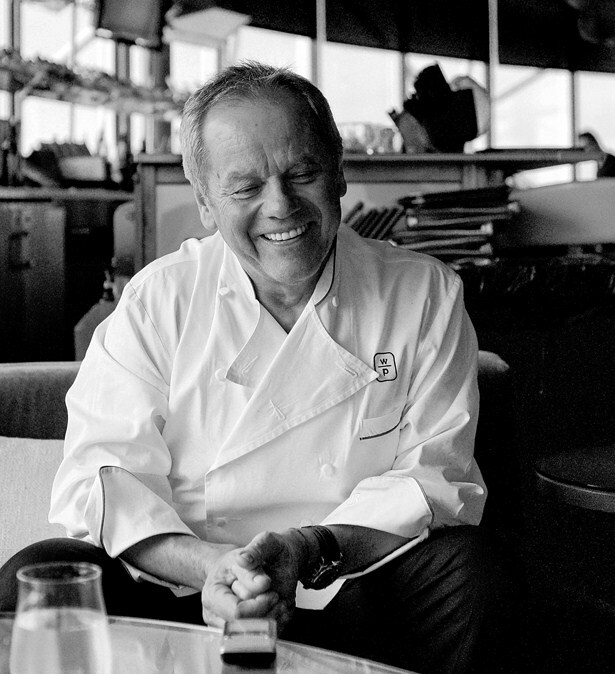 We chatted up chef Puck about the Academy Awards, new restaurant trends, eating local, The James Beard Lifetime Achievement Award and we got the skinny on In-N-Out Burger in this fun question and answer session. You have received a James Beard Award for Spago, and along the way picked up several personally. It was recently announced that you have won the 2012 Lifetime Achievement Award. How does that affect you? It is nice to be recognized by your peers, but at the end of the day I don’t look back at what I did; I look back at what is ahead and what we are going to do tomorrow. It’s not really what excites me. For me if I go to the fish market or the farmer’s market today and I see great vegetables I don’t care what happened in the summer. There are several people that come to mind when thinking of farm-to-table dining, Certainly Alice Waters would be mentioned, but you are also recognized as one of the early adopters to this style. You know people come up to me and say you go from the farm to the table. 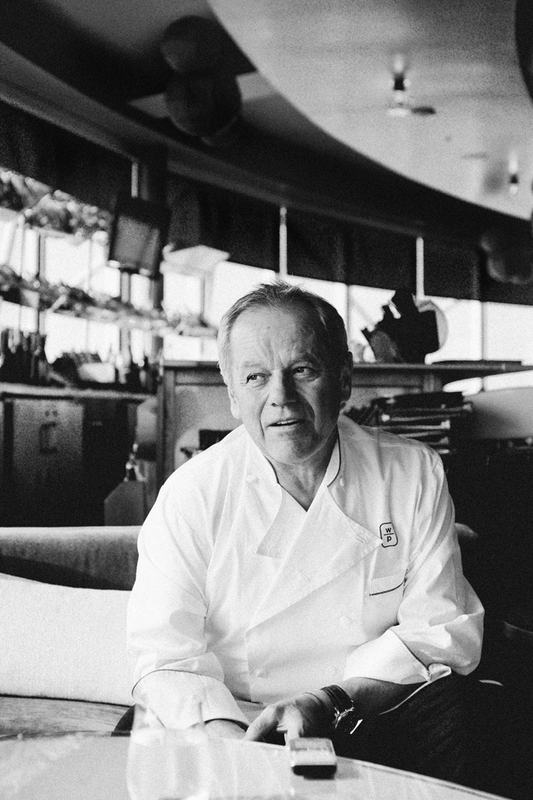 In 1982 we opened Spago and I used to drive up the farms and get the vegetables. Not only was it very close, it was a family. This was the way I got the vegetables when I lived in Austria. We would go to the garden and pick kohlrabi, leeks, carrots, potatoes and cauliflower and my mother would make vegetable soup. She didn’t use any fancy stocks. So for me this has always been normal and we didn’t have any need to tell people that we are doing something special. It’s interesting to see how people are sensationalizing all of this. They are saying how they are going from the farm to the table. How should it be? From Wal-Mart to the table? You have been busy, tell us about your new restaurants. We just opened a few new restaurants. Last year was our most productive year. We opened in CUT Singapore in Singapore, and we opened the Bel-Air Hotel. Now we are going to remodel Spago. Spago is 30 years old. It needs a little refreshment and we are going to change the food again a little bit. I am not sure exactly how it will be but I want people to come in and say it tastes really good, why didn’t you do this before. You are known for some of your home products like soups and kitchenware. How do you maintain the quality to meet with your standards? In the restaurant you have to start with good ingredients and then find people who can execute it and make it the way I think it’s right. When we do products it starts in the restaurant. Even if it’s an appliance, it starts in our kitchen. If it is a rice cooker, we make the same ones we use in the restaurant, just smaller and more affordable. Last year North Texas was inundated with California’s In-N-out Burger. Somehow I cannot envision you sitting in a drive-through. Have you had one of their burgers? The funny thing is the first time I went to In-N-Out Burger was maybe 8 years ago, and they have been around a very long time. But for me eating is not like that. On Valentines Day we went to Palm Springs. My friend Eric Ripert had a restaurant there so we stayed at the La Quinta. I was driving like crazy because they were going to close. It is a good two hour drive. All of a sudden my wife sees the In-N-Out Burger and it was already 9:00 at night. She said stop the car and let’s get a burger and could not wait to eat a fish at the restaurant. We get into this argument and finally I get off the road and go back 20 miles. I go through the drive in and they ask me what I want. She knew what she wanted but I didn’t, so I said, “can I have this and I want some Dijon mustard and a glass of wine.” They didn’t understand. How do you eat at home? About 5 minutes from my home is a farmers market, so I take the kids and we know all the farmers. There are fresh berries and fruits. My Italian friends there will sell pesto, and fresh made pasta. We take all this home and some times we grill the vegetables. Or we might steam them with some good olive oil and sea salt on top. My children are used to eating vegetables and fruits all the time. The kids see us eating that way and they emulate that. My six and a half year old would go to pre-Kindergarten he would bring Shanghai Lobster from Chinois, which is a slightly sweet lobster with a ginger and curry sauce. He would take that to school for lunch. The teacher would ask him what he was having for lunch, and he would say, “mmm lobster“. My son Oliver likes strong flavors. I remember once we were at Spago and we had a cheese pizza and one with truffles. He commented that my pizza smelled good, and it was the truffles. He asked if he could try one and in thirty seconds he ate all the truffles off my pizza. He is really into food, and says he is going to be a chef. I am very good friends with Dean Fearing and also Stephan Pyles, and it seems like I am in that bubble and don’t get out much when I visit Dallas. Years ago when they opened the Mansion and I was a consultant there Dean would take me out to this barbecue guy. 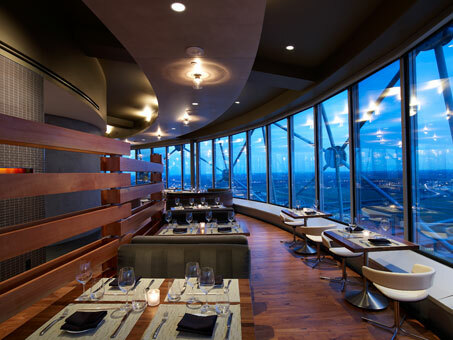 But now when I come to Dallas I really feel I need to be here. Dean will pack us up a lunch and we will have that on the plane. You are the official chef for the Academy Awards. What do you have planned this year? This year the Academy Awards is going to interesting. It is going to be more casual with a lounge feeling. It won’t be a formal sit down dinner. So there will be little intimate seats in small groups and we will bring around appetizers like smoke salmon Oscars, caviar and risottos, also small lamb chops and chicken pot pies. So you are going to get small plates that would can eat with either a spoon for a fork without having to sit with someone you really do not want to sit. The board of governors always want it to be formal and they bring their family and want to sit with Barbra Streisand. So when Barbra sits down she doesn’t know anybody at the table, and as soon as she eats she leaves because she does not have anyone to talk to. So now when she comes, or Clint Eastwood comes, we can sit them in one area. If it’s like that we can add a chair here or add a chair there. So it will be more like a grazing party. Since you are an insider, what are your predictions for the Awards this year? You know I saw very few movies this year. I did see the movie Hugo, a Martin Scorsese Film. I thought it was very long. I saw the movie The Descendants and I thought that was a nice movie but I didn’t think it was an Oscar movie. I know George Clooney very well and we went to the Director’s Guild together to see it, and I thought what woman would leave George for another guy? So it’s hard to see him as a victim. Traveling to me is always very exciting because you see new things. But now that I have two younger kids and they like to go to places that they know. They love to go to Sardinia. They have a boat taxi take them to the beach and they run around. I love Capri. I love Japan. I opened the restaurant in Singapore but didn’t explore as much as I wanted because I didn’t have time. We also opened a place in London, and that is an exciting restaurant city. To me it is more exciting than Paris. Paris has a lot of wonderful restaurants and they are very established. But if you go to a 3-star restaurant you don’t have to go to another. You go to a few bistros you don’t have to go to another one. They all serve the same thing. Where as London has so many different influences and has become known for very great restaurants. Your restaurants have an Asian influence, where did this come from? I opened Spago in 1982, and then we opened one in Tokyo. At that time I said if I have to open another Spago I am going to kill myself. I wanted to do an Asian-style Chinese restaurant, but do it my way. There were already plenty of Chinese restaurants, especially in LA. I never have cooked with a wok, but I thought how hard could it be? And little by little I got better at this. At first I would add a little ginger, garlic and scallion, and maybe a little chile. It was good but everything tasted the same with similar flavor profiles. So eventually I changed it all and it’s what you see today. What do you see as new trends for this year? I think about bringing Spago back to what California really is. We are the number one agricultural spot in America. In a way I want to have the Japanese aesthetic of the plate. Clean and simple but with flavors from China or Southeast Asia. And I want to showcase the vegetables. What I see happening is that if you order fish or meat it comes out on a small plate, and in the center of the table comes this platter of vegetables arranged so it looks like a garden. Some stand up, some lay down. Nutrition wise vegetables will play a bigger and bigger part of our diet. People going to these steakhouses and have a two pound steak is not where we are going. Vegetables make you feel better and its important for your body.